By Iris Chan, Chief Marketing Officer at FusionGrove. I had the pleasure of attending the first SiriusDecisions APAC Summit in Singapore, where over 250 marketing leaders convened to learn from world-leading analysts and marketing peers. 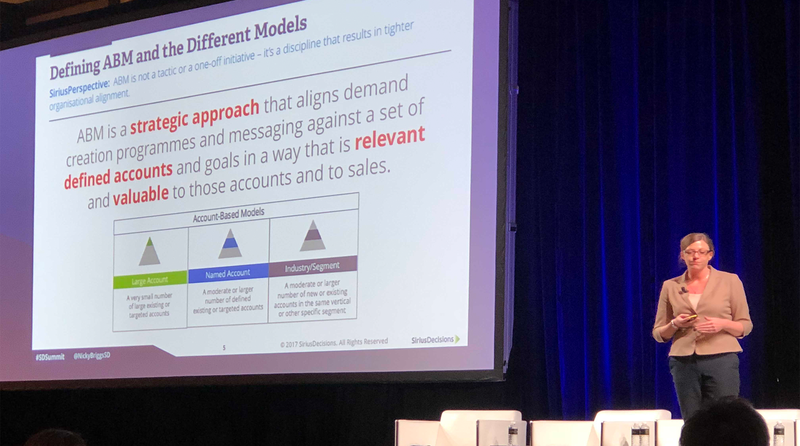 Not only was the quality of insights from SiriusDecisions experts and guest speakers remarkable, the event also provided an exceptional opportunity for regional marketing practitioners to network and share their B2B marketing experiences. Here are three key takeaways from the Summit which I believe are the most relevant for technology sales and marketing. 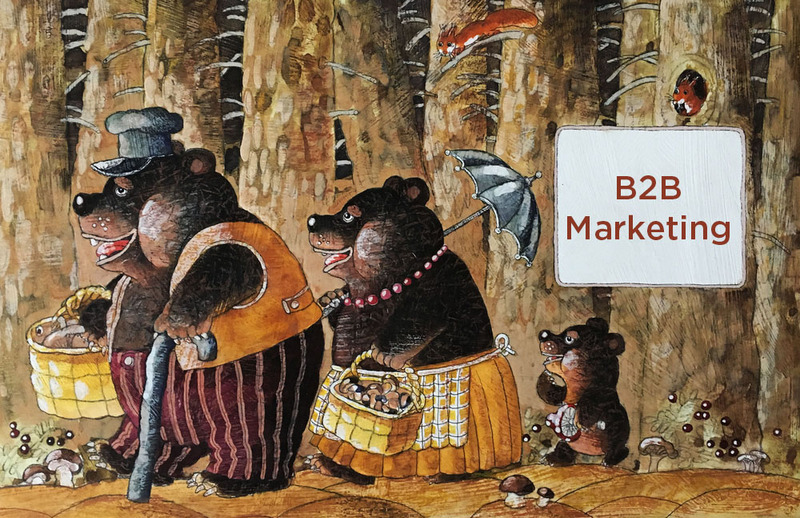 And if you are wondering what has the Goldilocks fairy tale got to do with B2B marketing, read on to find out. 1. True or False? B2B buyers do not engage with sales in early stages of the buying journey. Myth #1: There is a single buyer’s journey. Reality: Buyers take multiple journeys. Myth #2: B2B buying is linear. Reality: Buyers' interactions are episodic, not sequential. Myth #3: Digital is replacing human. Reality: A balanced go-to-market strategy is needed. Myth #4: B2B buyers don’t engage with sales in the early stages of the buyer’s journey. Reality: Buyers interact with sales in all stages of the journey. Myth #5: Global and regional buyers don’t differ. Reality: Buyer preferences vary by region and at different buying phases. Myth #4 will surely spark a lot of controversy, because it directly challenges the CEB, now Gartner research showing the average B2B buyer is 57% through the purchasing journey before engaging a supplier sales rep.
How do you reconcile the apparent disparity in buyer research findings? In my opinion, both statistics are research-based and both are valid in the context of their studies. Both of them point to the same conclusion and share a common root cause – the rise of the “Empowered Buyer”. The Empowered Buyer has the freedom and power to choose how early or late he/she would like to engage a seller during the journey – anytime, anywhere! This means during all stages of the buying journey, it is important to ensure there is ready and easy access to sellers, because the buyer may exercise this option at any point during the course. A basic example could be looking at adding live chat capabilities on your website that enables the buyer to effortlessly reach sales staff when needed. With buyer journeys becoming more complex, B2B marketers need to look at how they are advancing buyers to the next buying phase. I have observed that marketers currently expend most of their marketing budgets and resource pools in lead acquisition. The primary focus has been filling the top of the funnel and it is a common mindset that the job is done once leads are handed off to sales. There is less attention on following through the funnel to drive lead conversion. An EConsultancy study revealed for every $92 spent on acquiring customers, only $1 is spent on converting them! In one of the breakout sessions hosted by Edward Bray of LinkedIn, Asia Pacific CMO of Microsoft Jolaine Boyd called for a change. It is about the quality of leads, not just the quantity. As Jolaine pointed out, Marketing has to influence and help conversion at every stage of the buyer journey. So how do we improve lead quality and conversion rates? The key is to take a hyper-targeted approach towards your market segments, which is a great segue into the next takeaway on Account-based Marketing (ABM). 2. Account-based Marketing success is underpinned by strong foundational elements. Account-based Marketing (ABM) is crash-hot at the moment – for good reason. In the 2017 State of Account-based Marketing study, SiriusDecisions found that 91% of companies achieved higher average deal sizes with ABM, and nearly 1 out of 3 companies experienced 40% or higher increase in conversion to sales. Let’s zoom in on the Technology Readiness component. Nicky likened ABM to a team sport. To really raise your game and win, however, I believe the business needs to adopt an account-based revenue strategy not just with Marketing, but also across different functional organizations - Sales, Product, Customer Success, and extend it to the channel partner ecosystem. Executing an account-based strategy across the entire customer value chain requires orchestration. From a technology readiness perspective, business leaders should seriously consider looking at a revenue orchestration platform as the keystone in operationalizing their account-based strategy. It provides capabilities to orchestrate opportunity progression by surfacing high value accounts, while aligning the right account-level intelligence and resources for sales execution. Deploying a revenue orchestration platform is crucial for organizations planning to scale their account-based efforts beyond top strategic accounts to a broader set of Named Accounts and Industry/Segment Accounts in the SiriusDecisions framework. An instant poll of on-site delegates revealed that 47% were planning to deploy Named Account marketing and 17% were looking at Industry/Segment Account marketing. 3. Buyer targeting is like Goldilocks and the Three Bears. No doubt the SiriusDecisions team has mastered the art of storytelling by using powerful metaphors and analogies to illustrate concepts and frameworks. Throughout the conference, mythological creatures and fairy tale characters abound. The most memorable one for me has to be Goldilocks! Paul Dolan, SiriusDecisions' APAC Research Director, spoke about the "Goldilocks Zone" in buyer targeting. In astronomy, the circumstellar habitable zone (CHZ) is the range of orbits around a star with the right temperature and atmospheric attributes within which a planetary surface can support liquid water - thought to be a key ingredient for life. This habitable zone is also called the Goldilocks Zone, a parallel concept from the “Goldilocks and the Three Bears" fairy tale. 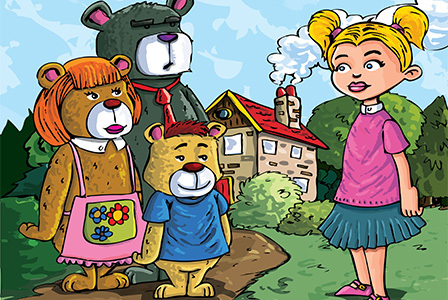 In the Goldilocks story, as we know, a little girl tastes three bowls of porridge belonging to the three bears. The first bowl was too hot, the second too cold, and she eventually chose the third one which was just right. The same applies to targeting your buyers. According to SiriusDecisions, an account is somewhat too broad and an individual persona is too narrow when it comes to identifying buyers. 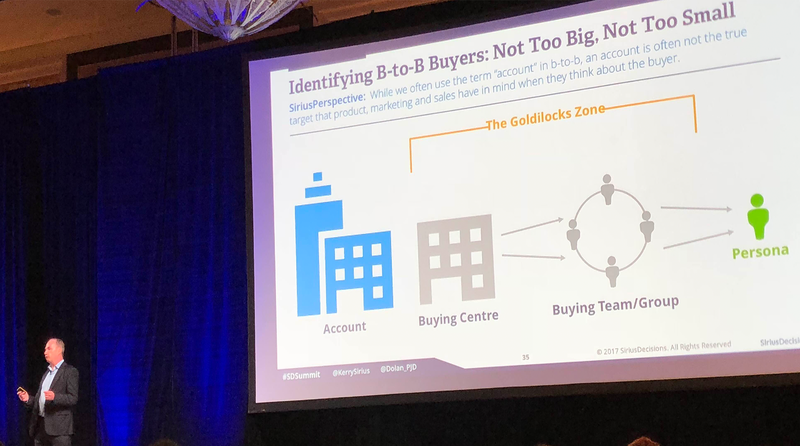 Instead, the Goldilocks Zone for identifying B2B buyers lies in between: Buying Centre - line of business, function or geographic region and Buying Groups - groups of personas or roles who are connected by related requirements, needs and resources. Here is my take. The account is still the anchor point and plays an instrumental role in buyer targeting, just like the Goldilocks Zone is still relative to the position of a star. There are environmental factors and attributes of a company that make it a strong fit for your offering which means a higher propensity to buy. So the question is, are you hitting the Goldilocks Zone with the right accounts? Understanding buyer personas, needs and intent is not enough in demand creation because technology buying is not an isolated decision – in fact it is contextual. Buying groups in buying centres are heavily influenced by the technology environments they are operating in. They would want to ensure your offerings integrate and fit into their existing infrastructures and applications which they have invested millions in. This is where technographic data makes a difference. Insights into a company’s tech stack enable your sales teams to better target the best-fit accounts and have more relevant conversations, which in turn leads to higher conversion rates. As Mark Levinson of SiriusDecisions highlighted in his keynote presentation, “field marketing needs to grow up”. As we usher in 2018, the opportunity lies ahead for marketing leaders to take a bolder, more agile approach in achieving sustainable revenue growth. The path to success is tighter alignment amongst Sales, Marketing and Product at both corporate and regional levels. I would advocate expanding this collaborative process to Sales Enablement and the partner network. Look forward to bringing Sales Enablement and Channel/Alliance Partners into the dialogue at next year’s APAC Summit! 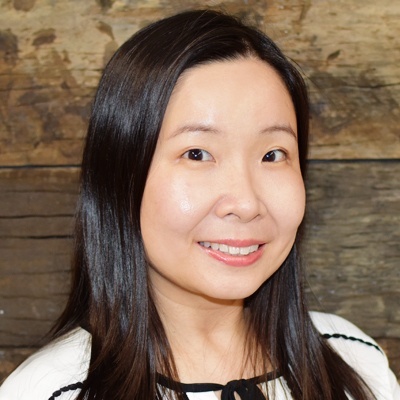 With over 20 years of B2B technology marketing and sales enablement experience in Asia Pacific, Iris is a thought leader who embraces innovative marketing practices to drive revenue. Iris brings a wealth of knowledge to Account-Based Marketing, Channel Partner Marketing and other B2B marketing disciplines. She is also the President of the Australian Chapter of the Sales Enablement Society, leading global programs to professionalize the function.